Buy gold nuggets online – One of the things that people ask me is “How do I buy gold nuggets online and make sure that im getting the real deal”? I created this page to give you a few tips and things to watch for when you are buying gold nuggets online or raw gold online, it will also help you when you are buying gold nuggets in person. 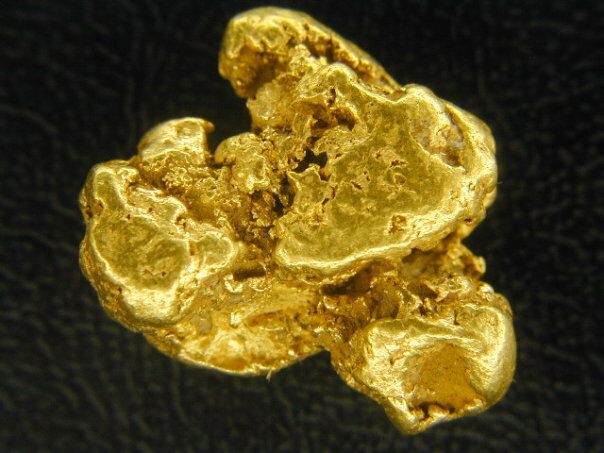 Gold nuggets are of course semi rare, they are considered to be native metal and the rarer form of gold that is found. The geology experts believe that only 5% of the earths gold has ever been mined and of that 5% only 5% of 5% is in the form of visible, native metallic gold. A vast majority of the gold that gets mined is in the form of sulfides or finely disseminated gold (microscopic particles) encased in rock. The mining companies crush hundreds of tons of rock per day and then use chemicals to extract the super fine gold or sulfides. Gold nuggets were at one time encased in rock as well as larger and coarse gold deposits and through natural erosion, the rock gets liberated and worn away and the gold nuggets then find themselves in old river beds or streams in mountainous areas and in the deserts of Nevada or Australia and Mexico they can be scattered literally anywhere. Now, knowing all that, how does that help you regarding buying gold nuggets online? One of the first things you will want to look for when shopping for gold nuggets is to make sure you are buying from someone who KNOWS about gold nuggets. Someone who has a reputation and lots of great feedback either on Google, Ebay, BBB etc in regards to gold nuggets. Coin shops and jewelers are not usually experts regarding natural or raw gold (there are of course exceptions). Most new buyers of gold want to get their feet wet by buying a small amount of gold for a reasonable price and then look to see where they can do that. Of course we offer gold purchases for as little as $50.00 for smaller gold nugget lots (just over 1 gram) and we do offer some individual gold nuggets and specimens for less than that! Ebay is very popular place to buy raw gold nuggets and there are a lot of sellers there, unfortunately IMO there are a lot of sellers there who misrepresent the gold they are selling and the buyer may be left with a sour taste in their mouths to never come back. YES gold nuggets are rare in the grand scheme of things, so rare in fact that in nature a 1 ounce gold nugget is rarer that a 5 carat diamond, however that said I want to point out that there is a common enough occurrence of smaller gold nuggets as to be able to buy and sell them for very close to spot price (spot price is the price paid on the world market in USD for 1 troy ounce of 99.9% pure gold). When I say a common enough occurrence of smaller gold I am talking about all gold nuggets that are approximately match head in size and smaller, in ANY quantity. Yes you will pay a small premium for small quantities of gold (1 ounce or less) but you certainly should be getting good value for your money, if you are paying more than 40% OVER spot, IMO you are paying too much.